There is an old adage about people who use all their money on frivolous things: More money than sense. Or what about “a fool and his money are soon parted.” And when it comes to stuff created from or decorated with gold, it looks like there is no end of fools with little sense. When we are dealing with fashioning and adorning everyday stuff with solid gold, the filthy rich old Sheikhs, Russia’s nouveau riche and gold mad Chinese can’t get enough of the stuff. The walls of the Sultan of Brunei are lined with sheets of gold. 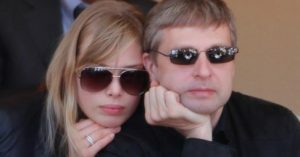 Gold cars are driven by gas rich Russians. And Chinese gold traders make toilets from 24 carat solid gold. This is not a new idea. In ancient China, pavilions and temples were lined with sheets of gold, inside and out. And in a visible display of wealth and power in ancient Egypt, gold sarcophaguses were used to bury King Tut and other Pharaohs. And the reason? Gold is valuable, very valuable. Gold prices have been fluctuating, but allowing around $1,000 per ounce is almost right nowadays. India and China have the largest stock of gold and it is not a coincidence that a lot of items that appear in this list are marketed and sold in those countries to folks with more billions than common sense. If we look at most of the items listed here, the tag “most expensive” is a marketing ploy for attention, to get space in magazines, newspapers and online. 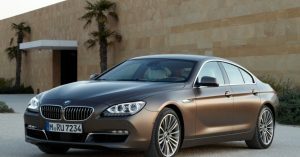 It splashes a product or company’s name everywhere and shouts quality and luxury. The press will flock to the items for the novelty and shock factors. It looks like (though bargain hunters would balk at this) nothing sells better than “most expensive”. There is a weirdness scale in terms of gold-ifying normal things. The least outrageous are stuff like Christmas trees, decorated with gold ornaments and bows. A lot of steps up the gold ladder, we see things that are embellished in gold – not gold plated, but entirely covered with sheets of gold. Everyday items like stretch limos, cars and even rifles are famous for being embellished in gold. At its worst, gold mania stretches to toilet paper and toilets made of solid gold. Off the weirdness scale altogether is artist Terence Koh, who sold his gold plated feces for half a million dollars. Luckily, no pictures were found, and you won’t see that listed below. But from caskets to gold toilets, the list below have the most strangest and some of the most expensive items of their king made with solid gold. Designed by Tobias Wong, these pill cases are part of a total luxury line by Citizen Citizen. At the moment, the pill is listed as unavailable on their site. 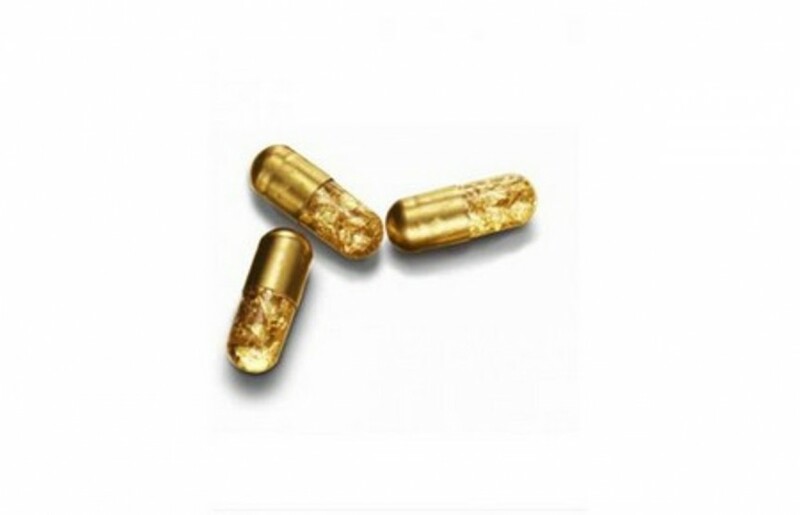 The 24 carat gold pills are created from gold leaf then dipped into gold. It would cost nearly $13,000 for a thirty day supply (or $152,000 a year). The pills were made to be part of the “Indulgence” exhibition in the New York’s Museum of Modern Art in 2005. What does not bear thinking about is the fact that at the end of the day, the gold will come back into the world. Is that the weirdest part? If you compare this to other stuff in the article, a two hour $1,000 facial looks like a bargain. It’s all relative. Cleopatra was believed to spread solid gold over her face each night to keep her youthful beauty. 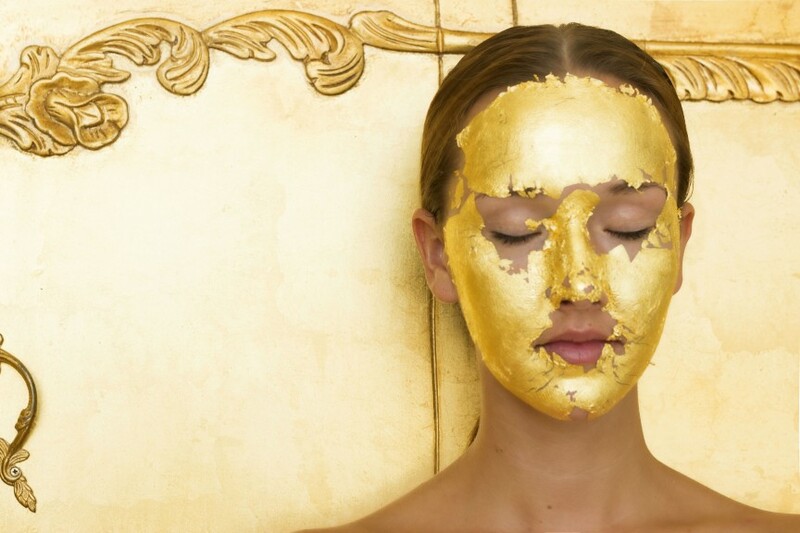 Japanese company Umo put out a 24 carat gold facial in 2006. Don’t search for it at your favourite spa; you can find it at places like Raffles Dubai Hotel and Harrods. It appears that beauty experts have put some mumbo jumbo credibility into the claim of gold having beneficial effects on the skin. Remember the joke in the movie Mama Mia when the character played by Christine Baranski was said to have face cream that consisted of donkey testicles, caviar and gold…? The darling of the upmarket food world is the edible gold leaf. Throw in some gold lead and a few diamond on any old dish and you have yourself what marketing people will be ecstatic to dub ‘the most expensive’ on the planet. And if can manage to get your name in the Guinness Book of records, you have made it big time. Gold leaf is thrown into everything from cupcakes to pizza. 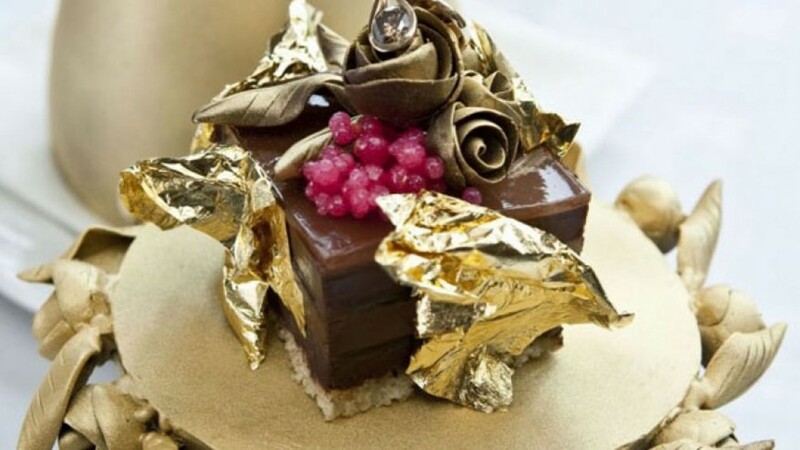 This “pudding”, that resembles a $35,000 brownie more, is adorned with gold leaf, caviar and a 2 carat diamond. The posh country house hotel in the U.K’s. Lake District says that it is the most expensive dessert on earth and you have to order it in two weeks advance. 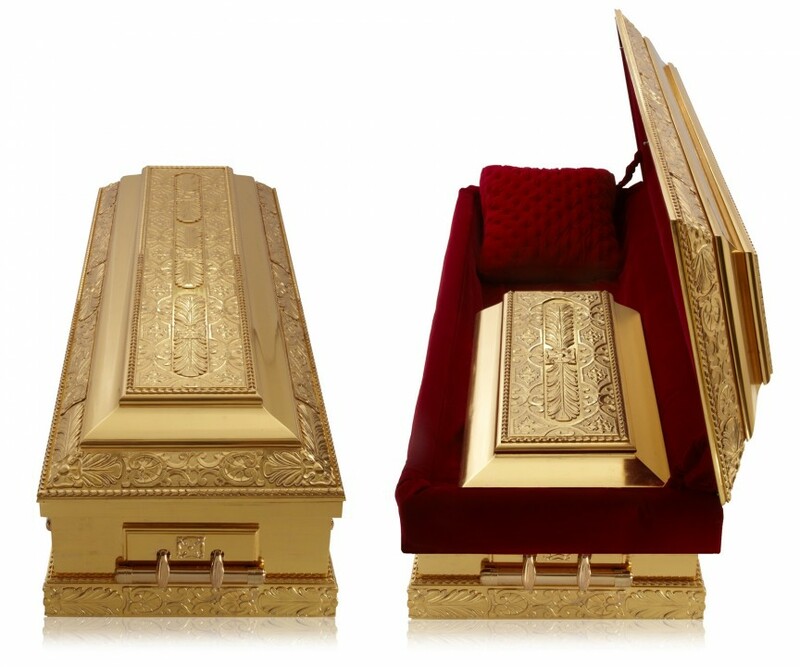 Made by the aptly named Golden Caskets, this 24 carat gold handmade final resting place has Ruby Red velvet interior trim. Also, you get a certificate of authenticity, Gold Keepsake Box and a matching Gold Reflection Picture Frame to take with you. The website of the company is too discreet to say anything that expensive in price, however, research shows a value of approximately $50,000 which makes it, unofficially, the most expensive modern casket on this planet. 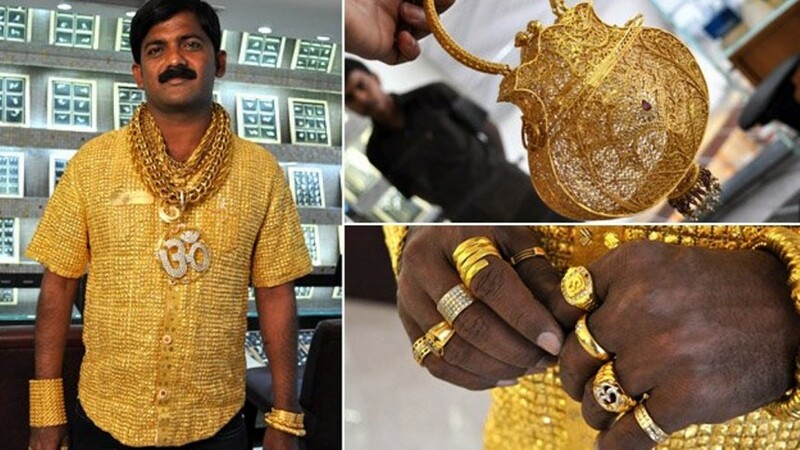 The shirt was made from 14,000 pieces of 22 carat gold and it was made and worn by Indian Datta Phuge by Rankar Jewelers. It took 16 days for 15 craftsmen to create this. Also known as “the gold man” Datta is a marvelous sight, with gold everywhere on his body. The shirt, which weighs 7 pounds, is not worn that often, since Phuge only wears it on special occasions. And you thought Kim and Kanye used about $1 million for mere gold plated toilets was wasteful… The most expensive restroom in the planet is found in Hong Kong. 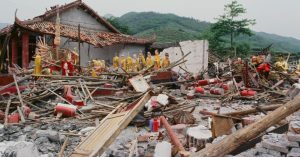 The Hang Fung Gold Technology Group built it in 2001. 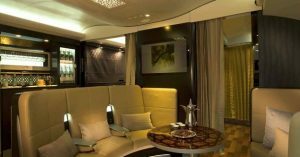 It has 24 carat jewel and gold embellished walls and a toilet made of solid gold. Not sheets of gold, but solid gold. 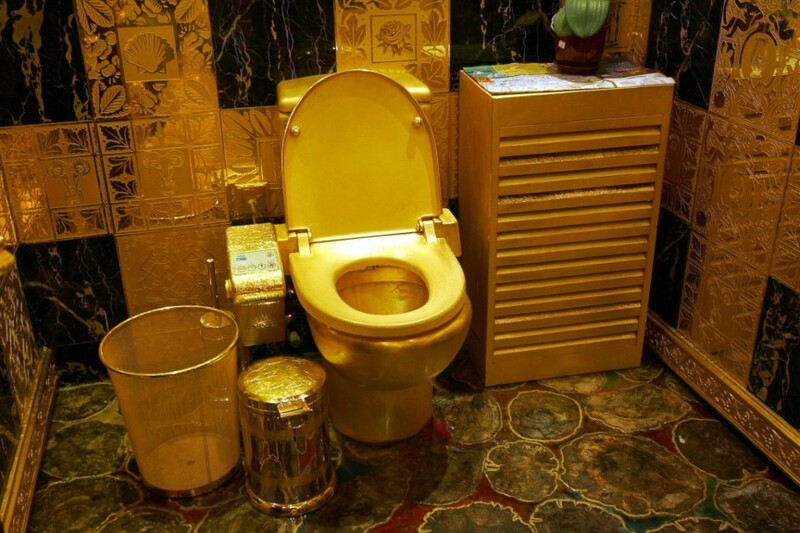 Its value is said to be $2.5 million and the toilet stays unused and intact. At least if the Hong Kong economy goes belly up, they always have the option of liquidating their asset. And for the ultimate throwaway luxury, look at the solid gold roll of toilet paper produced by the Australian company The Toilet Paper Man and worth $1.3 million. Cue lots of jokes about flushing your money down the toilet. 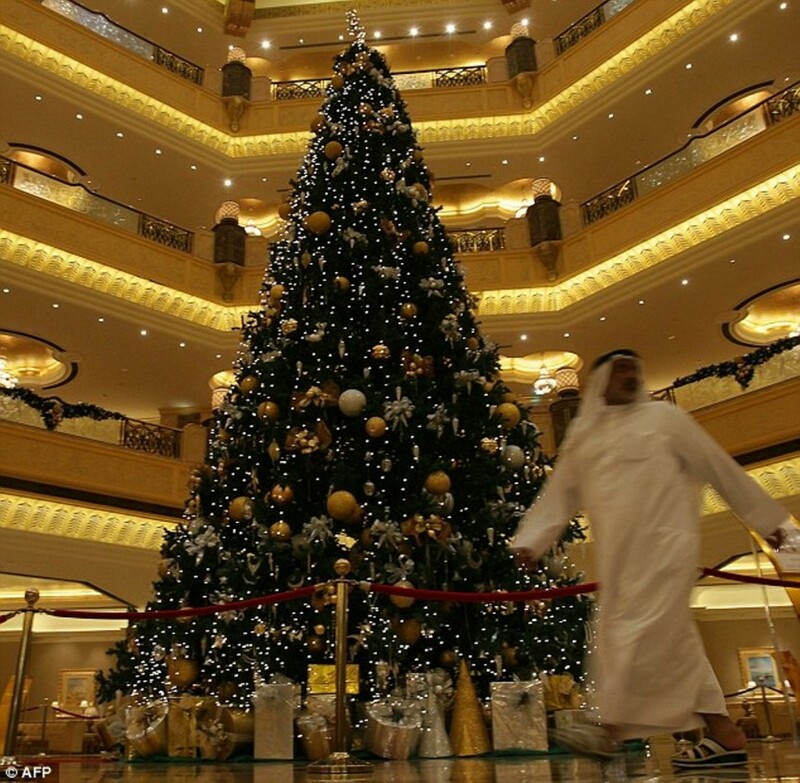 The tree was put up in 2010 in a 7 star Abu Dhabi hotel. This tree is certified by Guinness as the most expensive decorated tree found on the planet. The 40 foot evergreen is decorated with gold ornaments, bows and garlands. At its base we find presents bedecked with gold wrapping paper. Also, it drips precious stones. It seems normal if we compare it to the toilet. Designed by Geoffrey Parker, the poker set is alligator, lined in suede. 18 carat gold are fitted into the game gems and the chips are set with precious stone while the button for the dealer in made with 18 carat gold, set with diamonds. 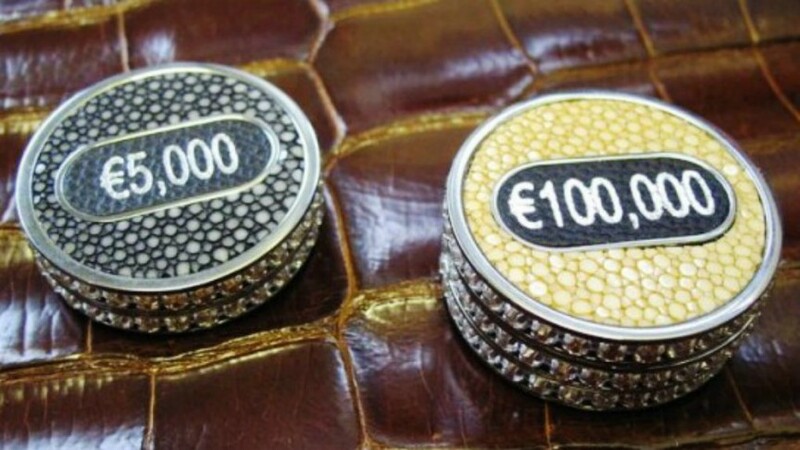 You can only wonder how high poker stakes would get with this multi-million dollar set. What is weirdest about this is trying to figure out who would purchase this. 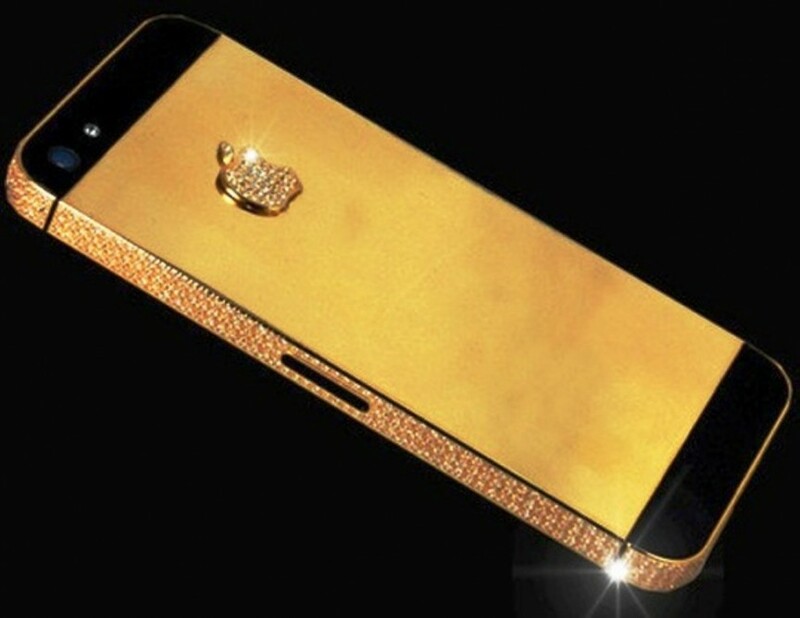 Made by the company Stuart Hughes Jewelers, this is the most expensive cell phone you can find in the world. Made from 22 carat solid gold and diamonds are encrusted on the Apple logo and the sides. You really do not want to drop this phone in the toilet. The market for gold cars is huge in the old-rich Middle East, Russia and China. These are cars adorned with sheets of gold that cover the outside, and on the inside, we have gold trim. 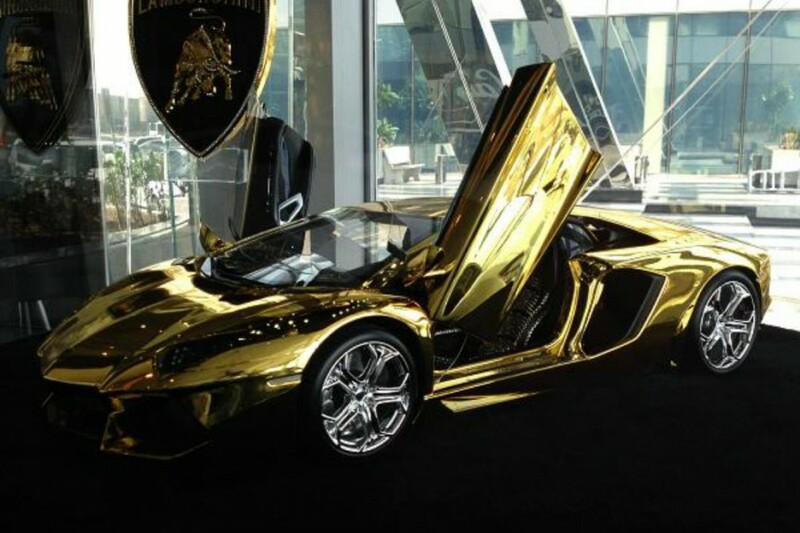 In October of 2012 Lamborghini’s Dubai showroom unveiled a Lamborghini made from platinum, gold, and decorated with diamonds. How much? $7.8 million. 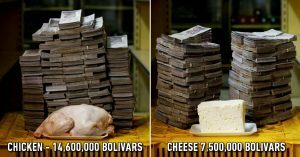 And that is just the scaled down version, a prototype whose purpose was to whet the appetites of the filthy rich. It’s is 8 times smaller than the actual thing (and 12 times more expensive), meaning that a full sized version would be valued at about $62 million. Ferrari, Rolls Royce and BMW also posses gold cars. In 2012 in China, Lincoln showed people a gold stretch limo. And there is a gold adorned Rolls Royce in the Middle East that comes equipped with turrets for machine guns, just in case. To get that, the amount you have to pay is $8.2 million.